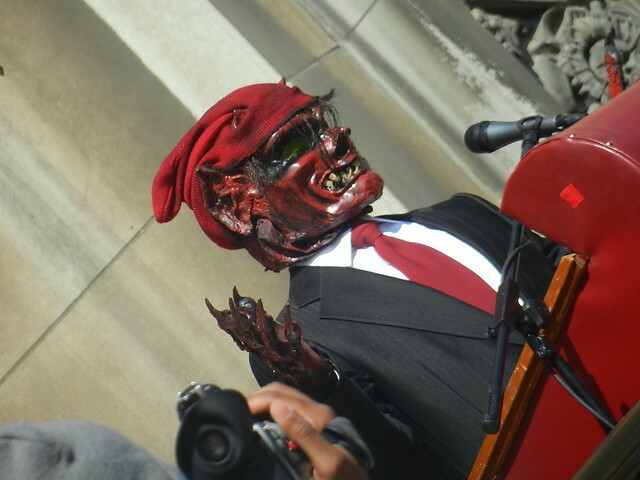 There is a tradition in Detroit that began over 300 years ago, it’s called La Marche du Nain Rouge. First, let me translate; La Nain Rouge is ‘The Red Dwarf’. This malicious spirit appears as a dwarf with glowing red eyes, rotting teeth, matted fur and contorted red features. Legend has it that the first sighting of Le Nain Rouge took place when the founder of Detroit, Antoine de la Mothe Cadillac, took a stroll with his wife just outside Fort Pontchartrain’s walls. Le Nain confronted Cadillac shrieking at him, in turn Cadillac drove La Nain off with his cane; in retaliation La Nain cursed Cadillac. Soon bad things began to happen to Cadillac; he was indicted on charges of illegal trafficking, he was removed from power. Cadillac’s fortunes were never the same, eventually he died while still trying to establish his land claims in Detroit. On March 23, 1710 the citizens of Fort Pontchartrain banned together to drive out the evil spirit; they organized the first march beginning at St Anne’s church and ending by driving La Nain into the river. The annual tradition was revived three years ago with a few modern twists. 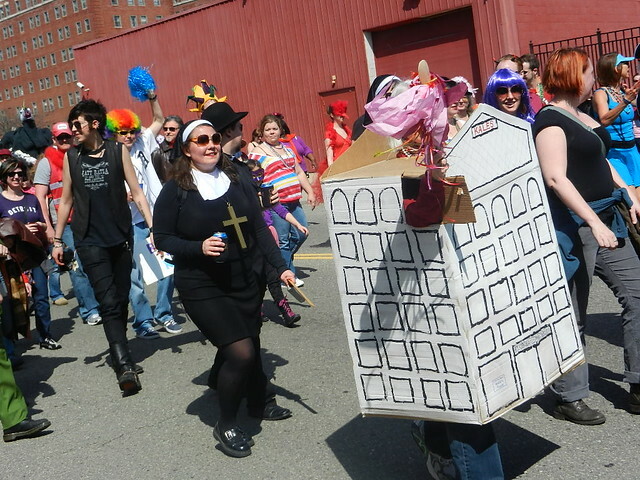 When we found out about the parade I couldn’t wait to go; I wasn’t sure what to expect, which made it even more fun! The activities kicked off in the parking lot of Traffic Jam & Snug; there was a large group of folks already assembled when we arrived, a sea of red clothing and accessories. At 1:00 La Nain arrived in all his gruesomeness; deep red coloring and over-sized fangs, creature-like hands and claws, even his voice was evil. He ascended high above the crowd in the bucket of a cherry picker, raising a banner that read “I’m Back”. He exclaimed his desire to rule Detroit and continue the curse, which was met with boo’s and shouts from the crowd. . 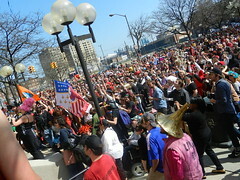 The master of ceremonies declared the start of La Marche; The Detroit Party Marching Band led the procession toward Masonic Temple where the march would conclude. Revelers fell in behind the band, we stood still off to one side to take it all in. 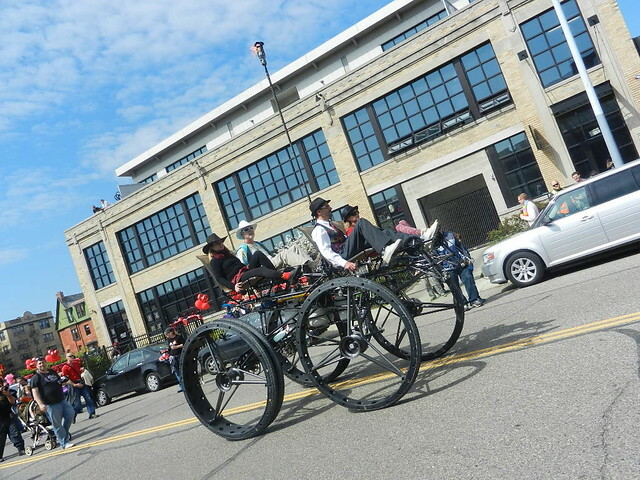 Historical Detroit figures were well represented; Father Gabriel Richard, Pontiac, Pingree and Cadillac himself among others. 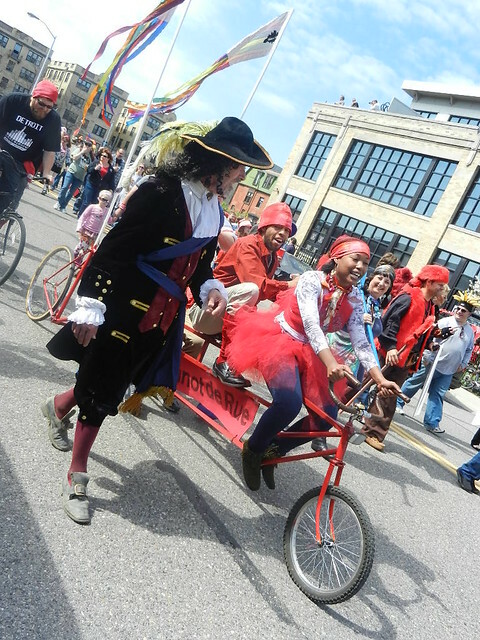 There were chariots made of bicycles and cardboard, the most impressive was the quadracycle complete with a fire-breathing torch. 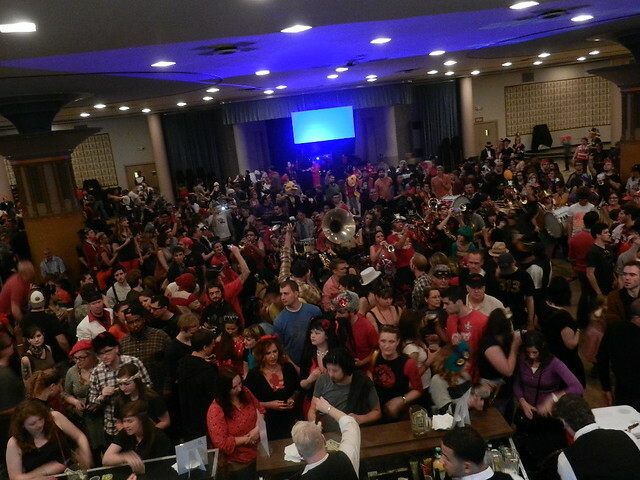 It’s a carnival-like atmosphere and anything goes; people are decked out in wigs, masks, fringe and capes. Some characters are recognizable; we saw Big Boy, the Kales Building and Richard Nixon doing the Hula-Hoop! Creativity abounds, from knee-high fur boots and jester caps to alien costumes and stilts. 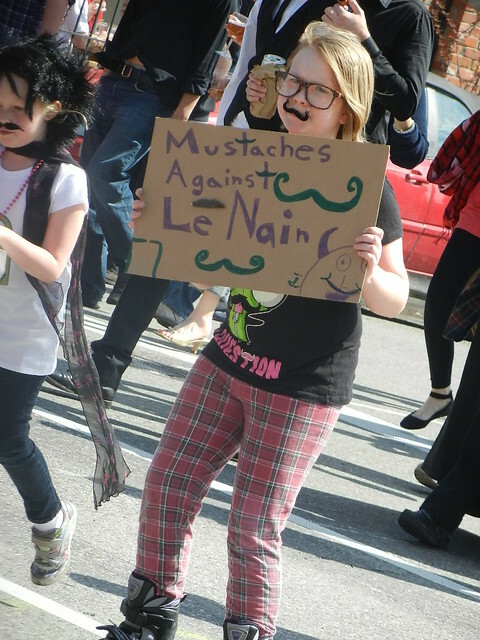 Some participants march in groups; “Mustaches Against La Nain” was well represented along with a consort of horse-head wearing individuals. The day was unusually warm for March 25, which made it all the more pleasant to be outdoors traversing the streets of the city. 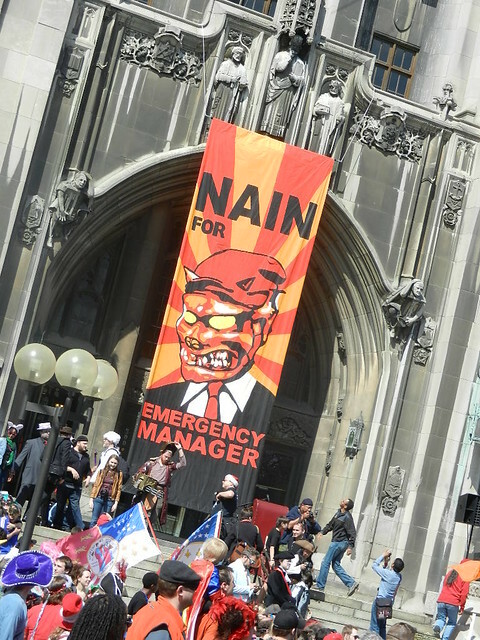 At last we arrived at the steps of the Masonic Temple only to find La Nain at the top of the stairs; a banner declaring La Nain for Emergency Manager hung from the building. 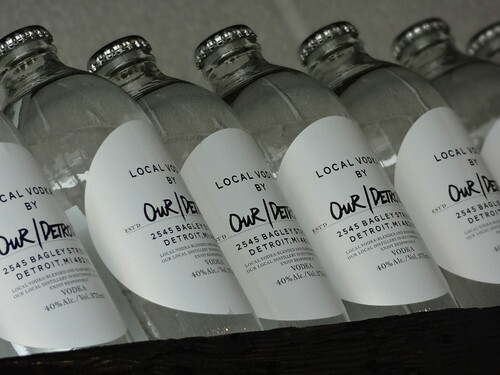 I couldn’t help but laugh out loud at the sight of it, La Nain had thought of everything…….What he didn’t count on was the spirit and unity of those gathered to drive La Nain from the city and rid Detroit of its woes. One by one, members of the crowd climbed to the top of the steps declaring their commitment to Detroit and the banishing of La Nain, until at last La Nain was gone. A Celebration ensued; music, dance and laughter filled Temple Street. The party was moved indoors via tunnel to the Fountain Ballroom, here the festivities continued. 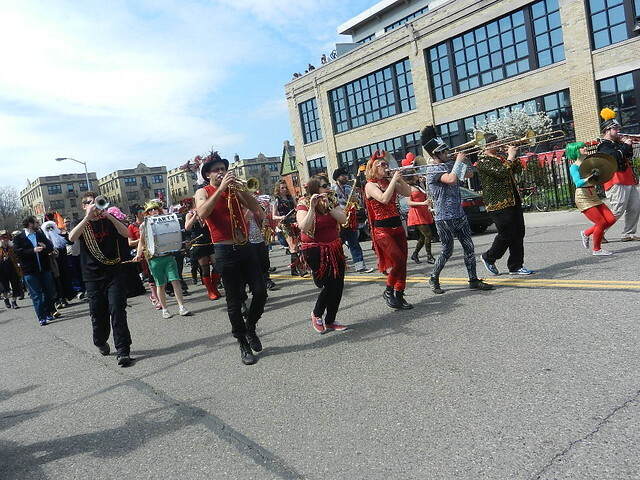 The Marching Band continued to play, food was available from Slows-to-Go along with a variety of adult beverages. The Fountain Ballroom is cool; a sunken dance floor with large decorative columns fill most of the space, the walls are adorned with decorative panels, a balcony of sorts surrounds three sides of the room. When we got inside the place was packed, we enjoyed the festivities for awhile but the lines for food and drink were long. 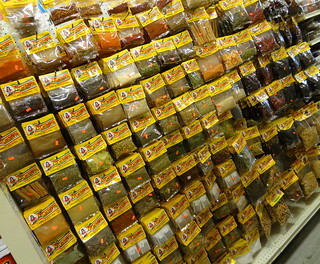 Our stomachs were not that patient, so we headed elsewhere. In a normal Michigan March you would be hard pressed to find outdoor seating at a restaurant, but this was no normal Michigan winter. 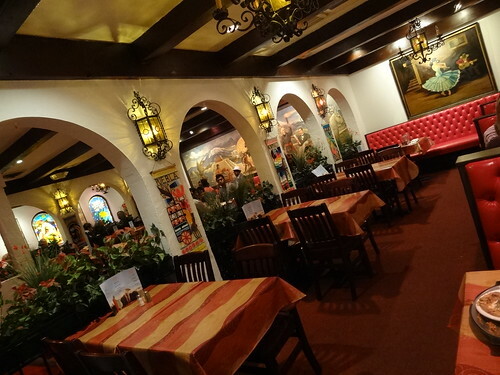 Kris recalled seeing patio seating at Los Galanes in Mexicantown, so that’s where we went. 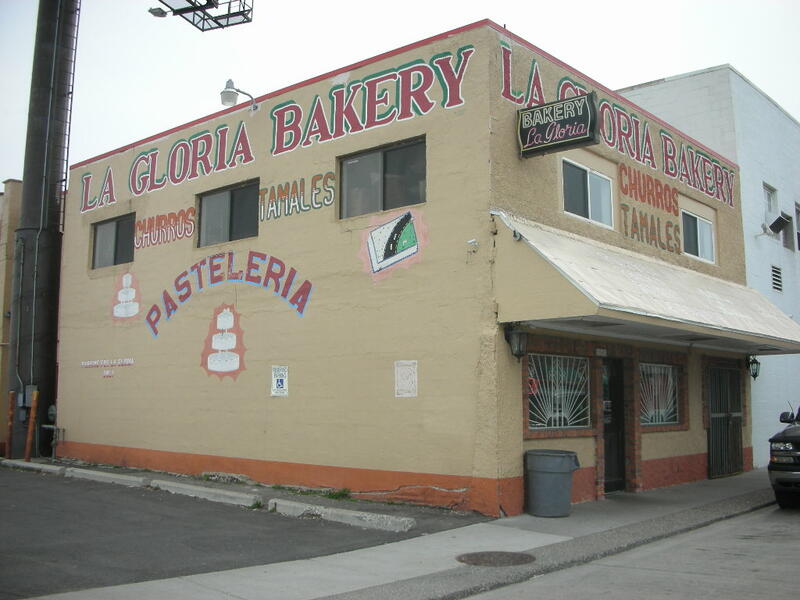 Located on Bagley at 23rd Street Armando Galan and his family (Los Galanes) have made the restaurant into a popular destination. 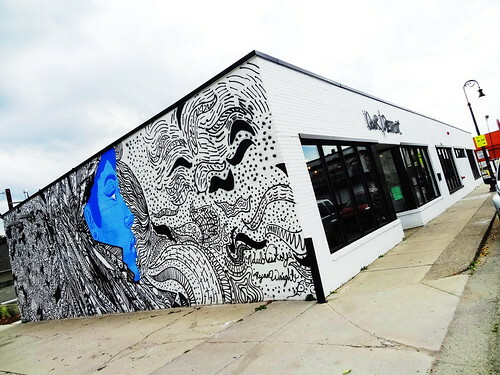 Most people recognize the restaurant by the large, colorful mural painted on the back of the building. When we arrived we were glad to see an open table on the patio, you can’t sit indoors on a day as beautiful as this! The patio is quite lovely; dangling white lights hang from wrought iron arches, plants already filled the window boxes with spring color. Chips and salsa arrived immediately, we ate as we decided what to order for lunch. 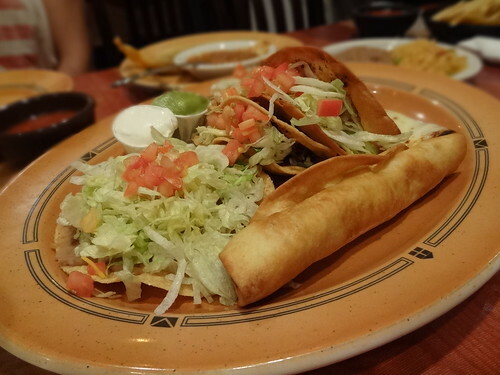 We find we enjoy the combination plates the best; a taco, enchilada, burrito and tostada, it’s nice to try several different things. 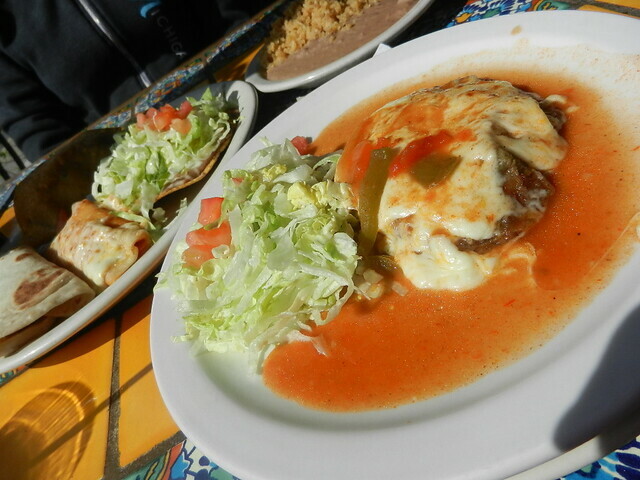 We also ordered the Chiles Rellenos; poblano peppers breaded and filled with cheese, topped with a rancherito sauce, they were delicious! It was another wonderful day in Detroit. On Friday Kris and I headed downtown for the day. 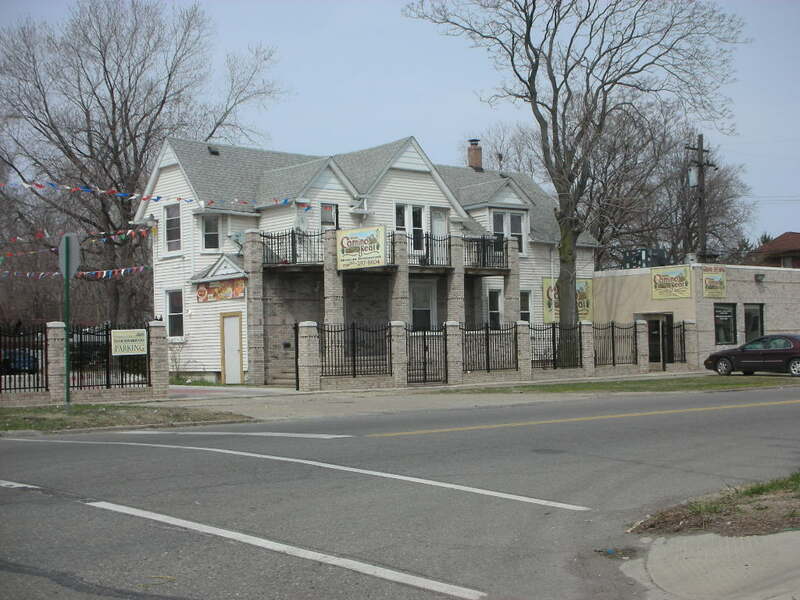 We were in the mood for some really good Mexican food, so there is only one destination, Southwest Detroit. 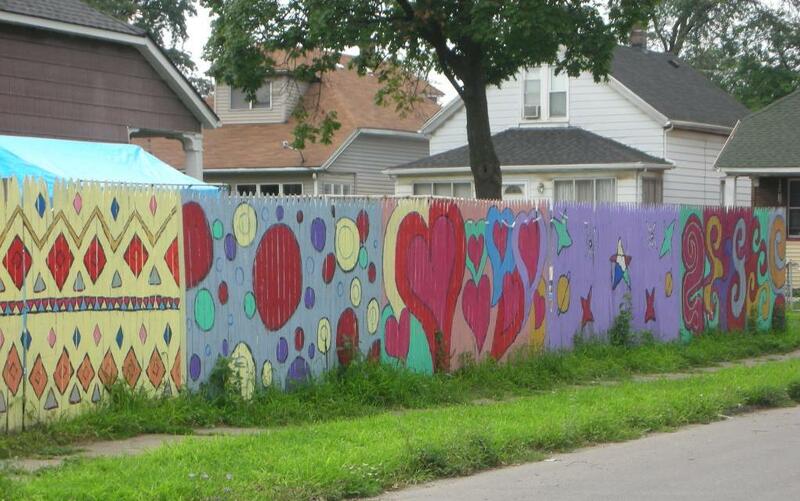 There is no other neighborhood quite like southwest, brightly colored murals grace the walls of buildings, homeowners paint the fences surrounding their yards with cheerful scenes. 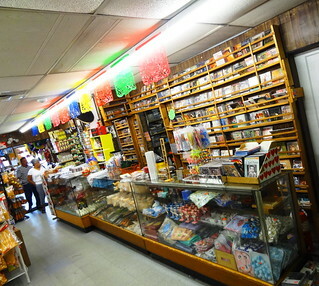 People are always out and about, it is very active and has a vibrant feeling about it. In this part of town big american pick-ups and SUV’s wearing giant chrome rims are a common sight. Vehicles are often multi-colored either by custom paint jobs or the mismatched fenders and doors that adorn them. 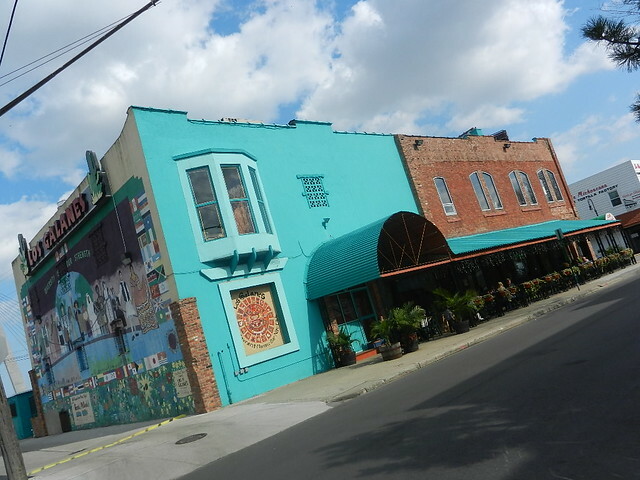 This is a great neighborhood for the adventurous to explore. Driving down Vernor there is one restaurant after another, mercados (markets) of all kinds line the sidewalks, as do panaderias (bakeries), and of course there are the Taco Trucks. 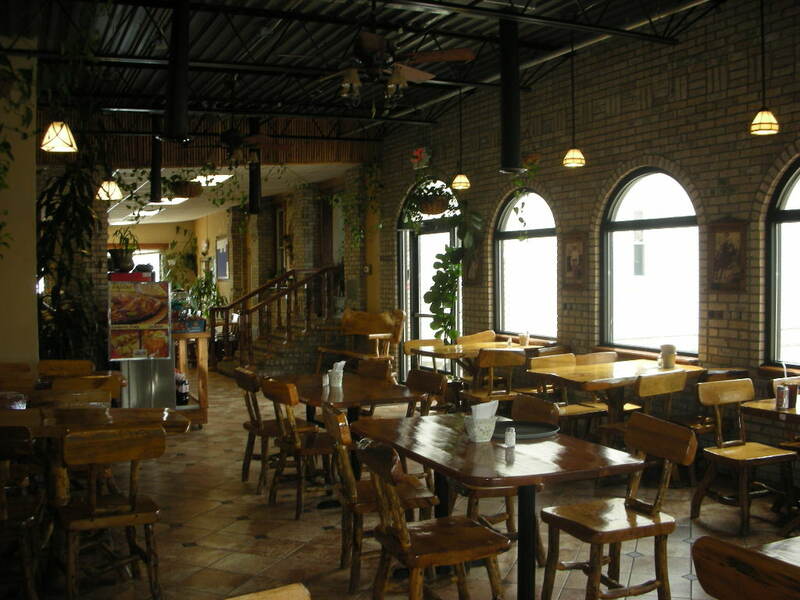 We have eaten at a couple of them, just stand at the window, the menu is usually pretty basic; Tacos, quesadillas etc. with your choice of meat. 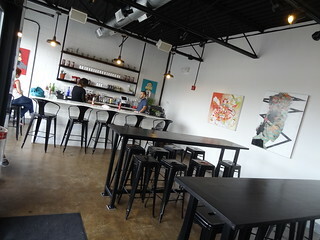 Sometimes there is a fold out counter and a couple of stools where you can sit and enjoy your food, we usually just stand on the spot. 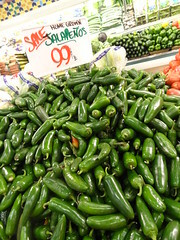 This is simple mexican food that is quick, delicious and inexpensive! 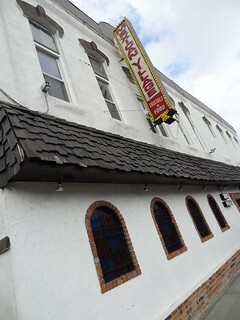 We had already decided where we were going to eat, Taqueria Camino Real, located on the corner of Central & Lafayette, for those of you with a GPS, here’s the address: 1100 Central, Detroit, 48209. 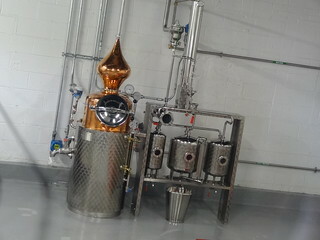 We love this place! 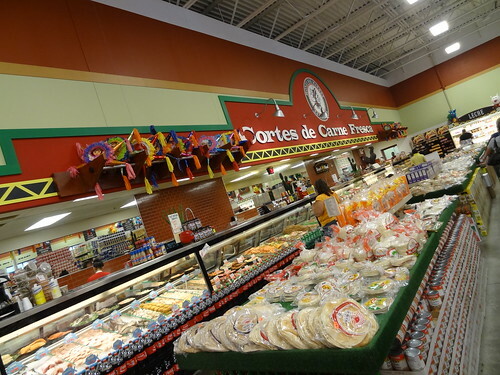 We have eaten here many times and the food is always good, most of the places in Mexicantown we find to be quite similiar, but here it is a little different. 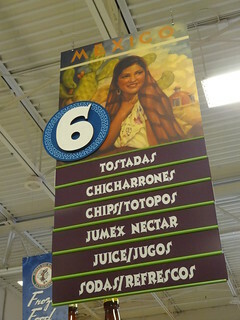 I’m sure each place has their own recipes for everything, and this one suits us. 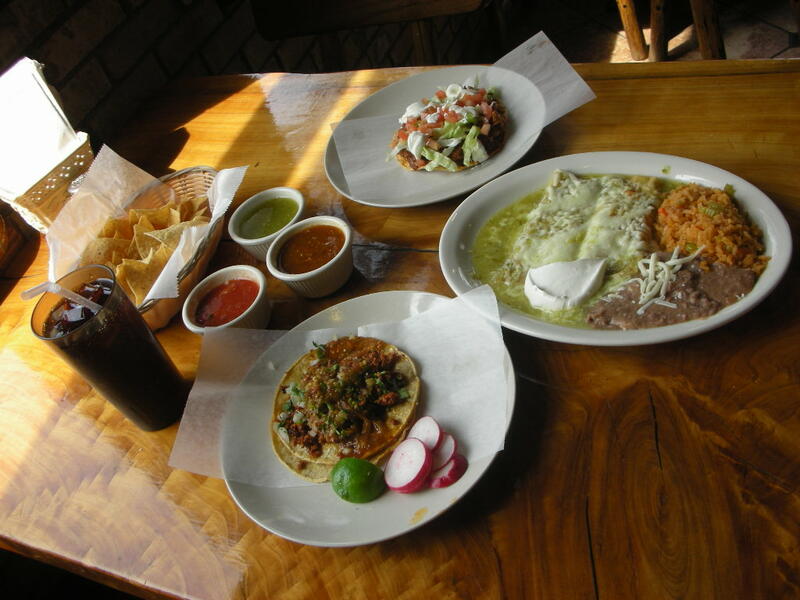 Here is our usual order: 1 Chorizo Taco, spicy and delicious, 1 llomo Tostada, the best llomo (spicy shredded pork) I have had anywhere, and the lunch cheese enchiladas, which are very moist and served with rice and beans. As soon as you are seated they bring the traditional chips and salsa, we always ask for a cup of any other salsa they have that day, sometimes they have 4 different ones. 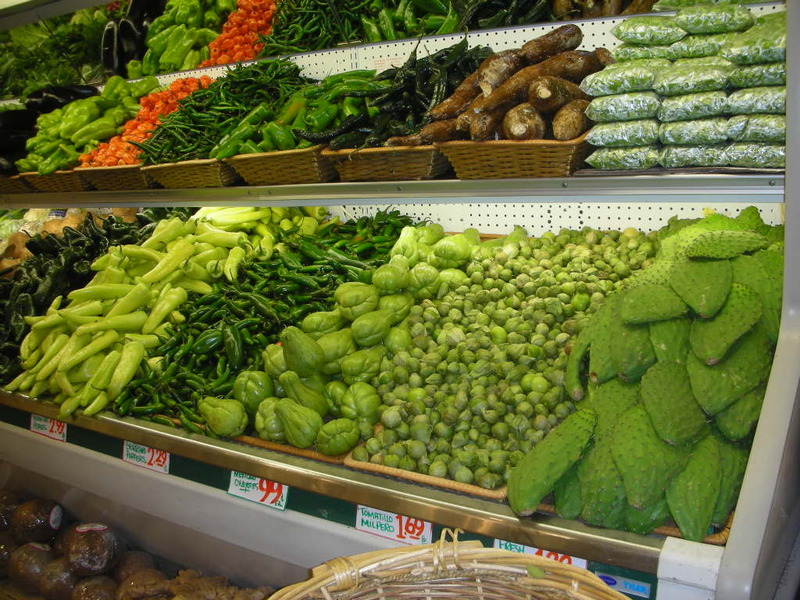 The verde seems to be a staple, and you never know what else they may have, they are all good. Pop is served in cans along with a nice big glass of ice. Looks good doesn’t it? 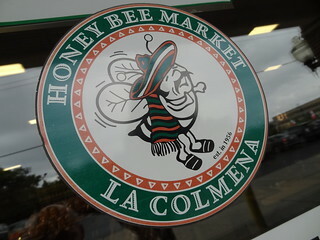 Next up Honeybee Market, one of my very favorite stores to shop in. 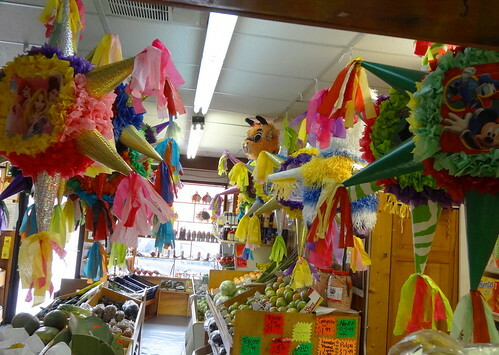 As you walk in the door you are greeted by mariachi music playing in the background, bright colors and wonderful scents in the air. 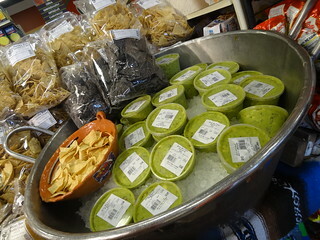 Immediately you are face to face with samples of their own homemade chips, salsa, and one of the best guacamole’s I have ever had. 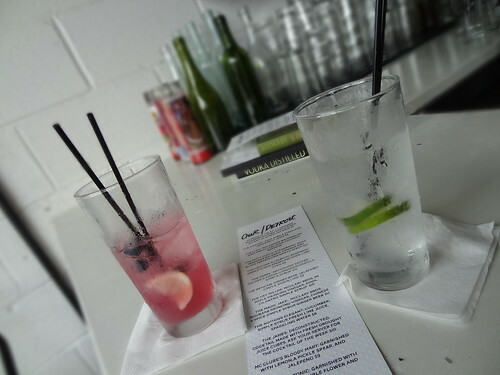 Do partake, you won’t be disappointed. 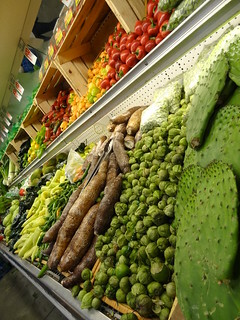 Be sure and check out the produce section; cactus, yucca, tomatillos, and a huge variety of peppers are available, everything looks so fresh and colorful. 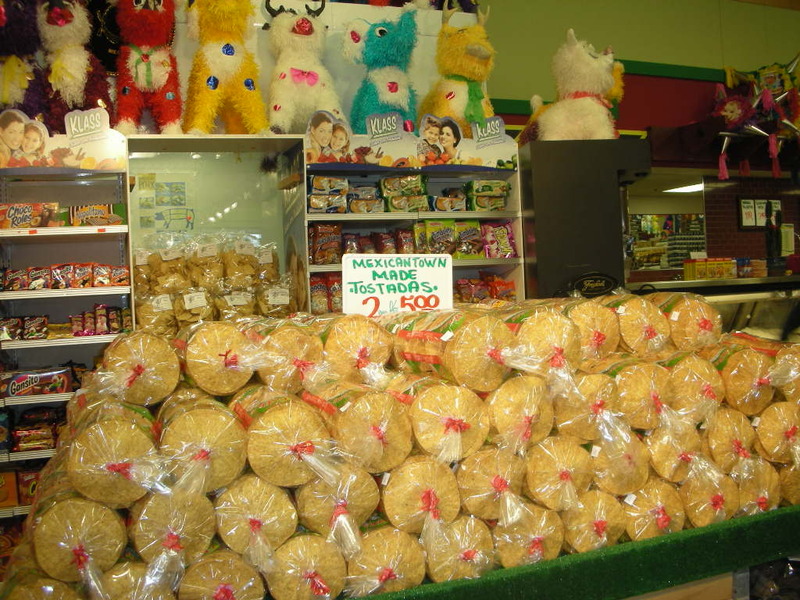 Need tortillas? 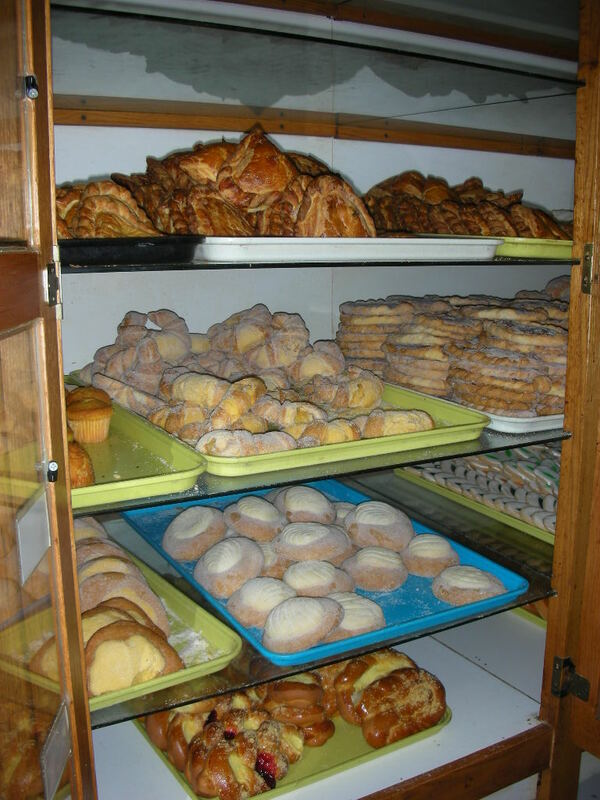 This is the place; Crunchy, soft, corn or flour, tacos or tostadas, they’ve got them. 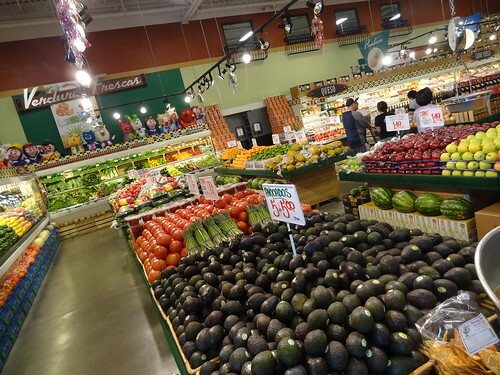 We usually walk up and down each aisle, it’s fun to see all of the different labels and types of foods, I cannot get out of there without a tub of guacamole, chips, and something new to try. Ever had a rice pudding ice cream bar? 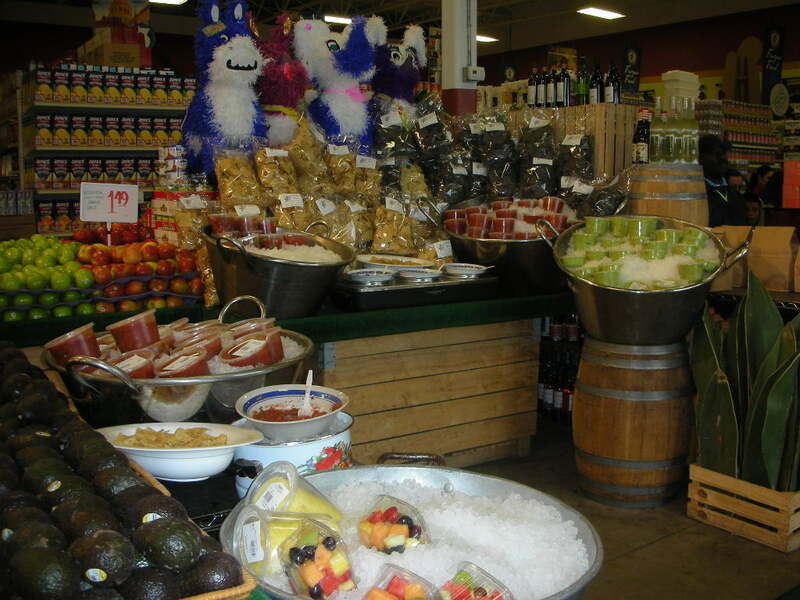 Look in the cooler by the registers, you want Arroz con leche, mmmmm, so good.